To support startups that would like to build there organisations using the inbound model. Hubspot have put in place a great programme which includes both major discounts and lots of training and coaching benefits. Experts in the fields are attracted and provide training on all aspects of business and how to apply inbound principles to them. 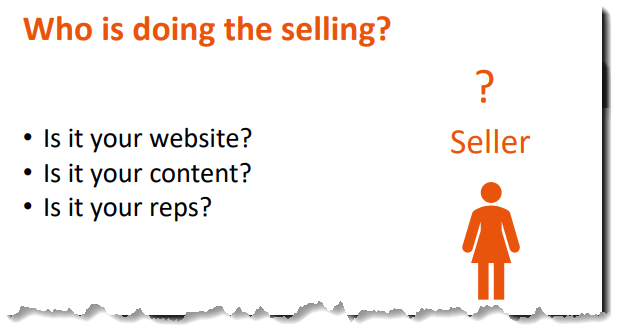 This content is based on the first webinar of a 4 part series 'Inbound Sales for Startups'. Presented by Vourneen Taylor of About Inbound at Hubspot's EMEA HQ in Dublin to a mixed audience both online and in the room. The post below contains key extracts from the above webinar presentation aswell as additional content optimized for quick reading. If you are interested in any of the topics covered in the below post, I recommend watching/or listening to the above video/audio as it contains many more insights and interesting questions and answers from interaction with the audience. If you come across a specific area of interest below, you can use the above video's indexing (Hover over the video for this to become visible) to skip straight through to the corresponding slide/section. This is a huge amount of pre-sales research and deliberation on which your sales team has an influence. chances are that it is your companies marketing materials that will drive your prospects to engage with your sales team and that they only do so when the they are ready to purchase a product or service that they have already found your offer. Another important distinction to be aware of is that while sales are a great starting point for success, it's actually revenue that drives growth. 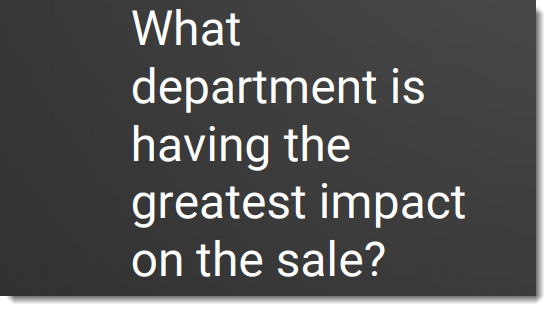 So which department do you think has the greatest impact on revenue? 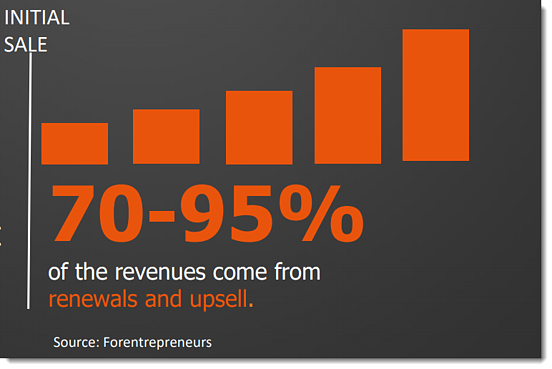 As you can see from the stats above, by far the most revenue is generated by your customers after the initial sale. This means that your services departments can have a lot of impact on the amount of revenue that is generated from your customers. As you can see there is no question that in todays world you need to allow all your departments to come together for revenue generation opportunities. Once you get clarity about the companies and persona's to target, it is time to also looking closely at who is doing your selling. 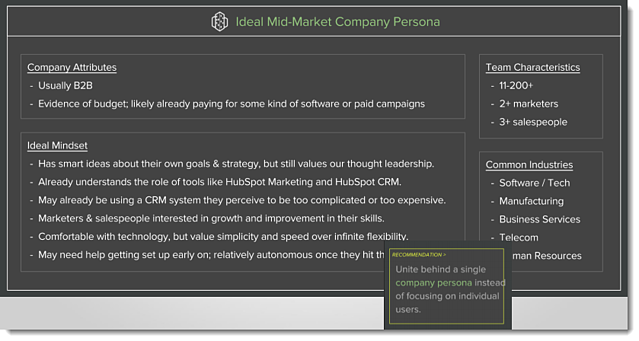 Don't forget that in the end in todays automated landscape of Sales tools and even with all the options that allow your buyers to purchase their service without personal contact with your sales reps. This is still a H2H (Human 2 Human) process. This makes it very important to build your team around your customer and their needs. Ensuring that all your staff engage in continual learning will give you a competitive advantage. TIP: Index 15 in the video contains the full details on this to get the presented version for more information. A set of repeatable steps that your sales team takes with a prospect to move them from the early stages in the buying process to a closed customer. Make sure that you always aim to apply these 3 principles to all actions during the sales process to ensure your process is as successful as it can be. The fist stage is all about data gathering and processing. In essence it means identifying strangers and converting them into leads. An example of an action that occurs at the identify stage is a visitor on your website submitting their email address. At this point, they have shown an interest and will have become a lead. You now have their contact information and can start doing research to find out more information about them. This research should show whether the contact is showing further signs of interest. If they do, they are likely to be an active buyer. 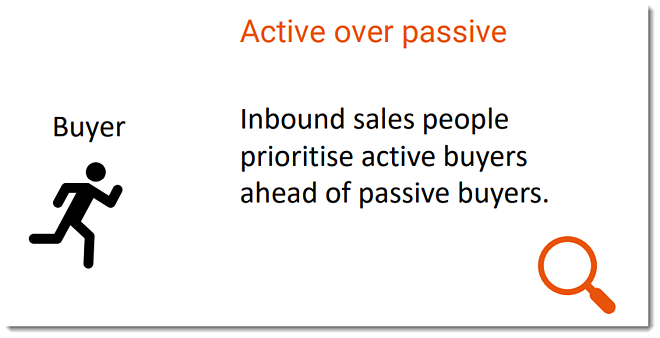 Inbound sales people should always prioritise active buyers over passive buyers. There are tools that allow you to identify these trigger events based on public information and at no or little cost. 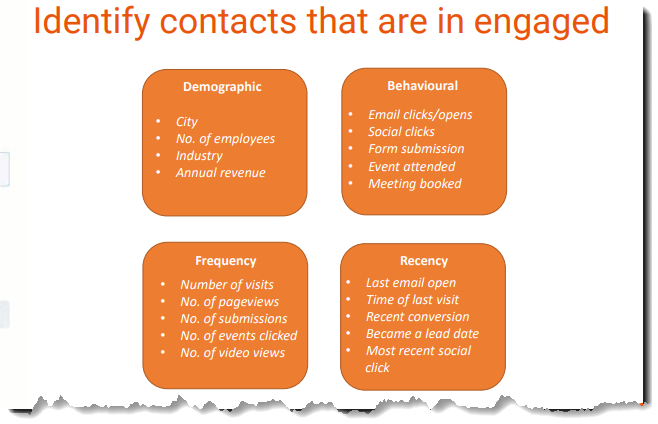 Here are some good contexts and data points to use when identifying which contacts are engaged. 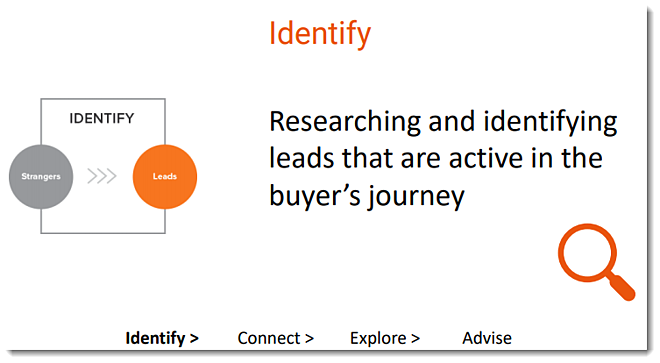 In the webinar Vourneen discussed this in detail and showed some examples on how to utilise these using the Hubspot sales tools. Choose a good starting point for your message (e.g. 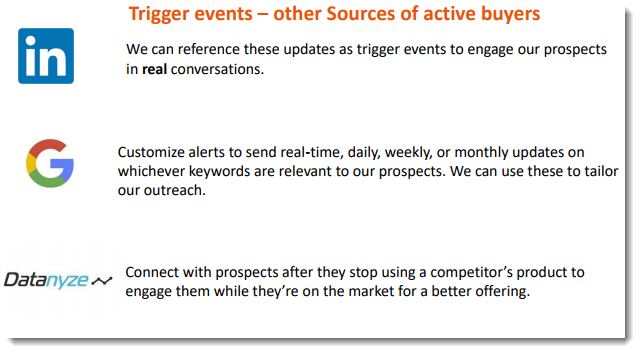 a trigger event or referral). Tailor your message to each buyer. even a small personal tweak can have a big effect. 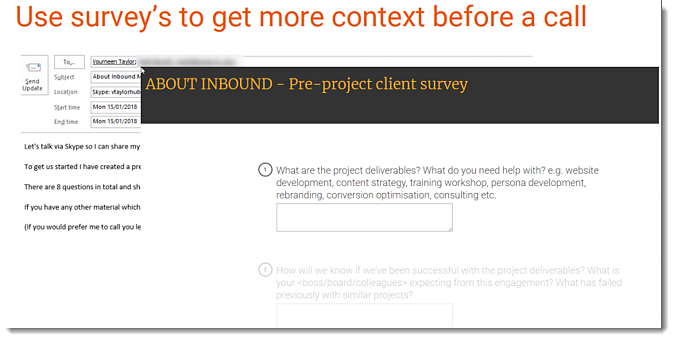 Engage with your clients using sequential messaging (see the webinar for how hubspot can be utilised for this purpose. Don't send out large bulk emails to your buyers at high frequencies, send tailored messages instead and qualify their responses for follow up to qualify their interest. It's important here to automate the processes that are repeatable but mix in personalised touches. Don't forget. More productivity does not always mean more ROI. 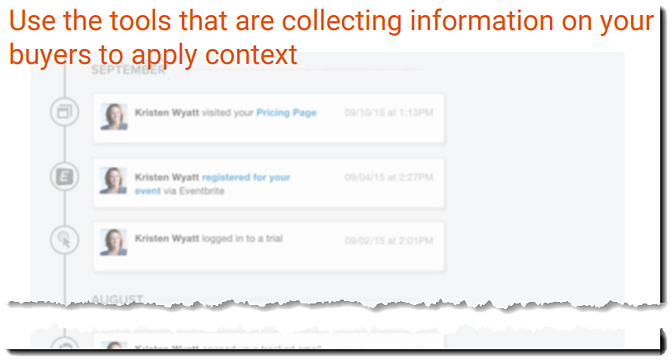 Say you have set up a sequence that sends 10 emails to your buyers in the connect stage. That's very productive amount right? At what point would your buyer get tired of seeing the mails clogging up their inbox though? The value of the content of each item would have to increase each time to avoid them being irritated. This irritation will likely stop them being an active buyer or worse to consider your offerings again at all in the future. Now lets say you send 3 sequenced emails to them instead. Each with a bit of personalisation and some content that is likely to add value and with a good call to action to allow them to confirm their interest or not. Each email should follow up based on the context of their feedback (or lack of feedback). In productivity terms you have send out way less emails. However your buyer is way more likely to stay engaged, and if they are not you can make an informed decision on how to proceed or disengage. 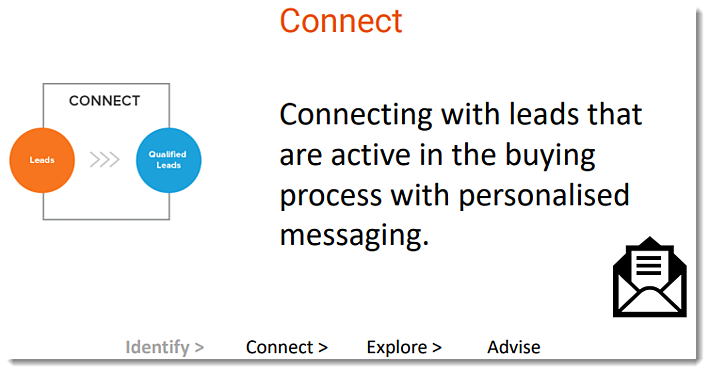 Check out the webinar video or audio to see examples of how to work through the connect stage using Hubspots tools followed by some interesting discussion around what is a good frequency to send out communications. Now that you have confirmed that your buyer is really engaged and your getting signals that they are interested, it's time to look at their needs and weather your offerings are a good fit for their needs. It's important to make sure you look over all information that you have gathered during the previous stages so you minimize the chance that you asked them for the same information multiple times. This is also a good time to set up the call to get further details about their challenges, recap on their goals and discuss with them how your offerings might fit. A great trick to improve the quality of your call at this stage is to send out a survey related to the call you are scheduling before the call and getting the potential customer to fill this out beforehand. The survey should contain general questions that are specific to the buyers interest that you don't have answers for yet. In case of a service offering this could be timelines and cost expectations for example, but the best set of questions depends on your offerings. This will also give you more clues as to how engaged they are. If they are happy to fill out a survey on the offerings specifics this is another good indicator that they are eager to progress. Check out the webinar video or audio for some additional discussion around this. Make sure to take notes during the call and log the activity in your tool of choice. The goal of the call is to explore with your customer whether the buyer is a good fit for your offerings and if your offerings fit their needs. It's important to always end the call with an clear and actionable next steps. 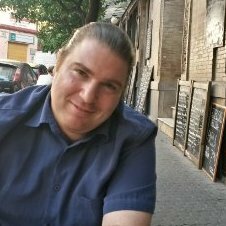 Follow up with helpful content based on your conversation where possible. Be very clear and add time frames to any follow up on the actions. It's important that you set a time and date for any follow up calls or contacts as this will result in higher engagement and keep the process clear for both seller and buyer. This will allow you to establish trust and a will maximize the opportunity for closing the deal. 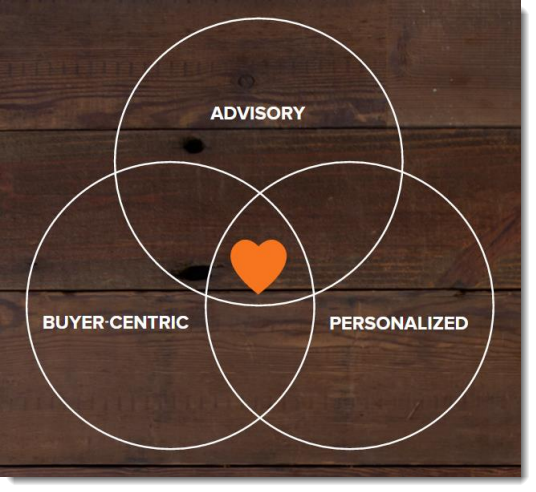 Inbound Sales Processes to use at the advisory stage. At this point, you should be certain that your offering fits the buyers needs and that they are able to invest in the time, resources and funds required to adopt your solution. It's time to advise them how your offering adds value and gives them Return On Investment. Product demo's are ideal at this stage of the buyers journey as they showcase your solution and allow you to address any questions or concerns they might have in a practical way. 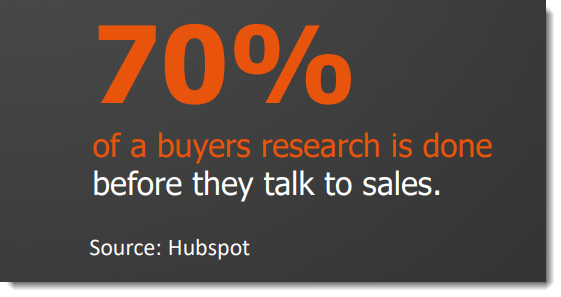 Make sure to customise the demo to address the buyers context based on the information you gathered and discussed. Remember the right context and the personal touch go a long way to closing the deal!